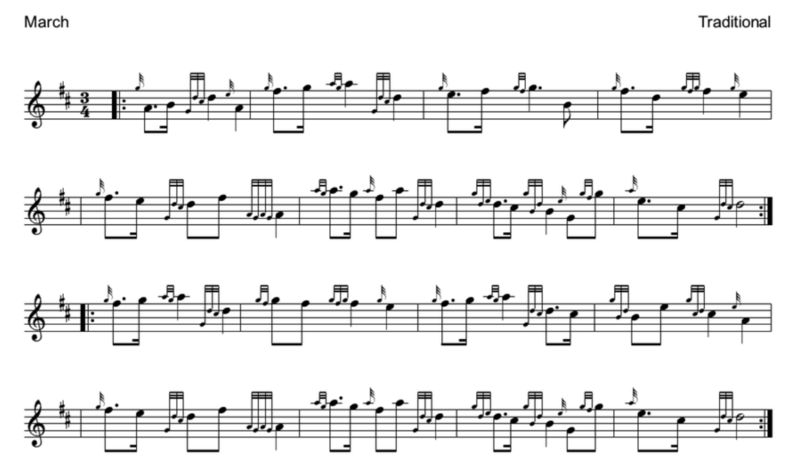 ​Below is the bagpipe sheet music for Dream Valley of Glendaruel, if you would like the accompanying audio please join my website. Learning to play the bagpipes has never been easier with these carefully designed bagpipe lessons. There are well over 100 lessons and 80 tunes on this site and more are being added every month to allow the lesson plans to improve, grow and always stay current. Whether your a beginner looking to buy your first chanter and learn 'Amazing Grace and Scotland the Brave or a veteran looking to improve your skills these bagpipe lessons will be perfect for you. I'm also available 24/7 to answer any of your questions about the bagpipes or even Gaelic Storm. Try it FREE for 7 days and if not completely satisfied cancel subscription and you won't be changed anything.